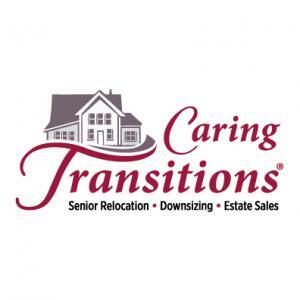 Caring Transitions of Northern Colorado is the premier provider of services in senior relocation, downsizing and estate sales. We understand the hardship and helplessness people experience during difficult times and Caring Transitions is here to help mitigate stress and bring clarity to the situation in an honorable and professional manner. West Fort Collins Online Auction by Caring Transitions - Ends 4/22! Fort Collins Online Auction by Caring Transitions - Ends 4/21! Windsor Storage Unit Online Auction by Caring Transitions - Ends 4/14! North Fort Collins Online Auction by Caring Transitions - Ends 3/30! Fort Collins Online Estate Sale Auction - Ends 3/24! Fort Collins Online Auction by Caring Transitions - Ends 3/18! HUGE Fort Collins Online Estate Sale Auction by Caring Transitions - Ends 3/17! Ptarmigan Country Club Online Estate Sale Auction by Caring Transitions - Ends 3/10! Loveland Online Auction by Caring Transitions - Ends 3/3! Fort Collins Online Estate Sale Auction by Caring Transitions – Ends 2/17! Kersey Online Estate Sale Auction - Ends 12/23! South Fort Collins Online Estate Sale Auction – Ends 12/9! Loveland Online Estate Sale Auction by Caring Transitions – Ends 12/2! Fort Collins Online Auction Bidding Ends (Mon) 11/26! Greeley Online Estate Sale Auction by Caring Transitions on CTBids.com - Ends 11/17! Ptarmigan County Club Online Estate Sale Auction by Caring Transitions on CTBids.com – Ends 11/5! Fort Collins Online Estate Sale Auction by Caring Transitions on CTBids.com – Ends 11/4! Greeley Online Estate Sale Auction by Caring Transitions – Ends 10/21! Loveland Online Estate Sale Auction by Caring Transitions – Ends 10/7! Fort Collins Online Estate Sale Auction by Caring Transitions - Ends 10/1! Fort Collins Online Estate Sale Jewelry Auction by Caring Transitions - Ends 9/30! Milliken Online Estate Sale Auction – Ends 9/23! Fort Collins Online Estate Sale Auction by Caring Transitions - Ends 9/9! Fort Collins Online Estate Sale Auction by Caring Transitions - Ends 9/6! Fort Collins Online Estate Sale Auction by Caring Transitions - Ends 8/26! Fort Collins Online Estate Sale Auction by Caring Transitions - Ends 8/25! Loveland Online Estate Sale Auction by Caring Transitions - Ends 8/19! Loveland Online Estate Sale Auction by Caring Transitions - Ends 8/13! Fort Collins Online Estate Sale Auction – Ends 8/6! Cheyenne, WY Online Estate Sale Auction by Caring Transitions - Ends 8/5! Fort Collins Online Estate Sale Auction by Caring Transitions - Ends 7/29! Fort Collins Online Auction by Caring Transitions -Ends 7/22! Fort Collins Online Estate Sale Auction by Caring Transitions – Ends 7/9! Cheyenne WY Online Estate Sale Auction by Caring Transitions - Ends 7/8! Johnstown Online Estate Sale Auction by Caring Transitions – Ends 6/24! Fort Collins Online Estate Sale Auction by Caring Transitions - Ends 6/18! Loveland Online Estate Sale Auction by Caring Transitions – Ends 6/11! Loveland Online Estate Sale Auction by Caring Transitions – Ends 6/10! Windsor Online Estate Sale Auction – Ends 6/9! Fort Collins Restaurant/Club Online by Caring Transitions – Ends 6/7! Cheyenne, WY Online Estate Sale Auction by Caring Transitions - Ends 6/3! Fort Collins Online Estate Sale Auction – Ends 5/21! Loveland Online Estate Sale Auction by Caring Transitions – Ends 5/20! Cheyenne Online Estate Sale Auction by Caring Transitions - Ends 5/13! Greeley Online Estate Sale Auction by Caring Transitions - Ends 5/6! Longmont Online Estate Sale Auction by Caring Transitions - Ends 4/30! Fort Collins Online Estate Sale Auction – Ends 4/29! Fort Collins Online Estate Sale Auction – Ends 4/15! Loveland Online Estate Sale Auction by Caring Transitions – Ends 4/8! Fort Collins Online Estate Sale Auction – Ends 4/2! Fort Collins Online Auction by Caring Transitions on CTBids.com - Ends 3/26! Fort Collins Online Estate Sale Auction on CTBids – Ends 3/25! This company has posted a total of 186 estate sales. Only the most recent 50 sales are shown.